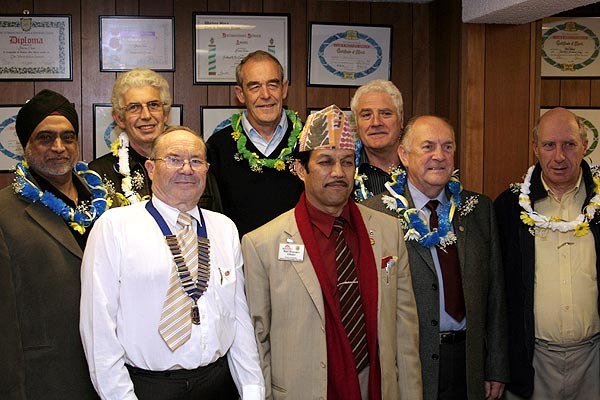 The October meeting of Bedworth Lions Club was like no other in it's 30 year history. We were pleased to receive Lion Ram Bhandari Chhetri & Lion Hum Bahadur Rana from our twin club, Kathmandu Universe in Nepal. Both Lions stopping off in the U K on their way to further meetings in the U S A. 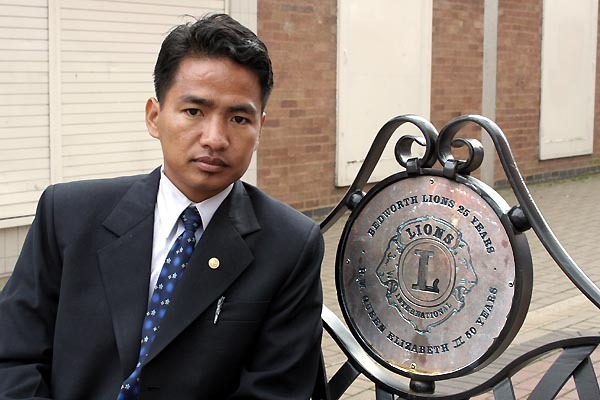 Lion Ram is an Ambassador of Goodwill, Multiple Council Chairperson & has chartered 46 new clubs. 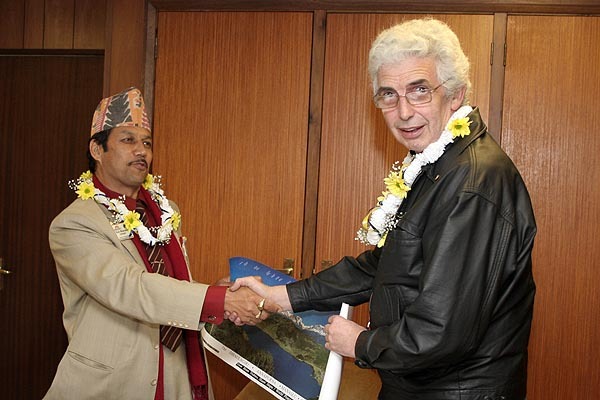 He is a sector co-ordinator & Grant administrator for Sight First & Campaign Sight First . 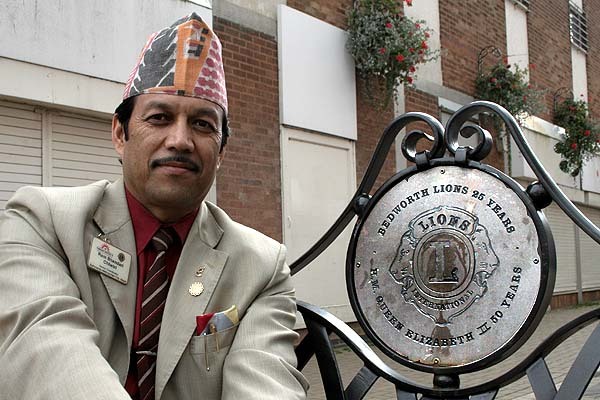 Our two visiting Lions spent much of the day prior to the evening meeting with Lion President Brian; who with the assistance of council officers was able to show the guests around the Borough. 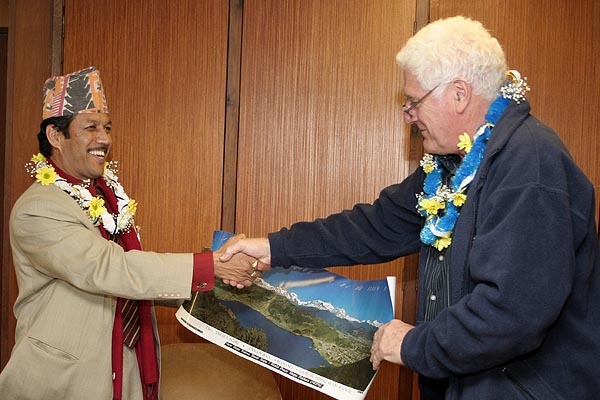 Lion Ram who is The Managing Director of MES (P) LTD; an engineer & urban planner in his own country, was greatly impressed by the regeneration in both Bedworth & Nuneaton. 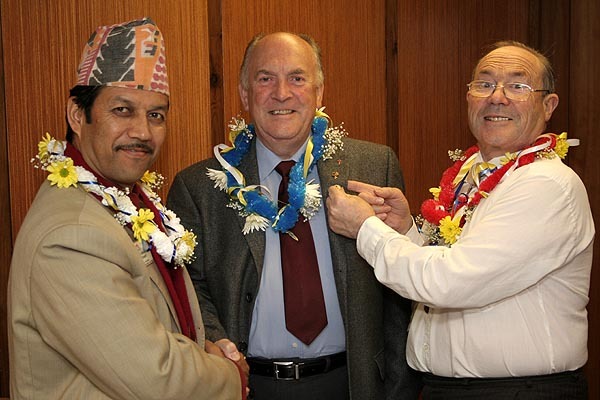 During the evening meeting gifts were exchanged between members & our visitors. The Bedworth Lions Club presenting one of a limited edition mug commemorating George Eliot's publication of Scenes of Clerical Life, a special commemorative copy of the book was also presented to Lion Ram. Unfortunately this most pleasant meeting had to be shortened to enable our guest to catch a train to their next destination.